Mr. Steidl, you scheduled this interview at 11 o’clock on a Sunday morning. Do you always work on weekends? Yes on Saturdays and Sundays. Those are the only days in the week where I can work concentrated on concepts for books, I can do my drawings for book covers and book design. I don’t have to open my mouth, I am silent, I listen to the radio, classical music, and I do just what I want. Do you ever take time off or is the printing process such a passion for you that you don’t need to? I am of course not risking my health and my physical power just for printing jobs and without six and a half hours of sleep at night I am of no use the next day, but actually throughout the year I don’t need vacations or days off. I have the privilege that I spend the day doing whatever I want. That keeps you fresher. It is more a question of discipline and something that you have to learn. Since I have been working for 45 years, I have learned to be disciplined. Many people call you the “king of printing” and some artists will trust no one else with their books. 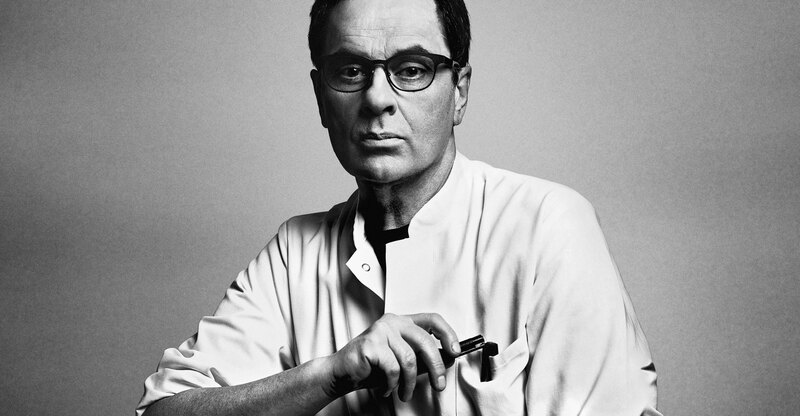 In what way are Steidl’s books different than other books? You once said that most publishers only make imitations of books. When does a book really become a book in your opinion? My definition of a high quality book is that it is an object of art. The serial printing of lithographs, etchings, and screen prints are made for the art market so there are signed and numbered limited editions. A book in my opinion should not be limited. It is a democratic object that is printed in a high quantity and that is available for a reasonable price for everybody. But the skills and the production technology that go into making a Steidl book are exactly the same as fine art printers use for limited edition prints. That is my philosophy. Most of the books that are produced in the world are industrial objects, my books are just the opposite. We never use the same kind of paper from one book to another; we don’t repeat sizes. Everything is highly individual and not standardized. How did you gain so much knowledge about printing? It was just learning by doing. When I started, I was working as a screen printer and I learned about screen printing technology from Andy Warhol and his manager Gerard Malanga. The same with etchings and stone lithographs and later with offset printing. You can always find a guy somewhere who knows about these technologies. I was young, I was 20, 25 years old, and of course they were proud to give their knowledge to me. The rest is doing experiments and testing and not giving up. If something is not satisfying start again, turn everything upside down and find a new formula for printing. Everything is learning by doing. And just asked Andy Warhol questions about screen printing? Yes. Actually there were not so many people because Andy Warhol was not very famous here in Germany yet. It was the beginning of his international career. He was standing around and I don’t know where the courage came from in those days, but I had no doubt that I needed to speak with him and ask him what kind of technology he was using for his art because I had never seen something like that. That was the beginning of my operations. Beside books, you also print all the materials for Karl Lagerfeld and for Chanel, from invitation cards to catalogues. Is that a different process because it is inspired by different themes and fabrics from season to season? No, it is exactly the same. Karl Lagerfeld is a book lover. We have three publishing houses together. I also work with him on his photography books, visual books, and literature. The passion behind it for both of us is the beauty of paper, the nice smell of ink, and once it is ready the physical book made for your library that will stay there for the next three hundred or five hundred years. We are creating something that has a long lifetime. Karl Lagerfeld had exactly the same vision for Chanel’s printed materials. It should not be something that is just thrown away. An invitation card, a press kit, a catalogue, even an advertising campaign in a magazine is a piece of art that people should keep and collect. And they do. If you look on eBay, you will see that printed materials for Chanel are being sold for a very high price after a while because they are objects of art. Do you look at Chanel’s collection when you make the invitations to a show? Of course. That is part of my duties. When a collection is starting up, Karl Lagerfeld shows me the drawings and I can walk with him to the studio and take a look at the fabrics. It makes it possible to make better printed materials for Chanel than we could otherwise. What is most difficult or extravagant print job that you have ever done? It was a book that I did for Ed Ruscha, Kerouac’s On the Road. We printed it in letterpress and offset, with hand-tipped-in original photos. I worked with him throughout a period of six years. Every month I was in Los Angeles for one or two days to make corrections with him, to show him print tests. It was the most complicated job I have ever done for an artist, but the result is outstanding. And I made so many inventions throughout the production process that all of the books since then have looked much better. It was hard work, but it paid off in the end. How much of the printing process is still analog? Up to the printing plate totally digital, but the moment the printing plate goes into the press we are working analog with physical ink, with wet ink. I think the offset printing technologies we have today is still much better than any digital printing, because the wet ink that goes into the fiber of the paper makes a huge difference. In digital, I feel it always looks the same because it is driven by standards and software. And in my printing I turn everything upside down every day because I hate standards. I want to get rid of standards and I want to create new combinations of inks and papers and that makes a difference. Do you own an iPad or a Kindle? I don’t own a Kindle, but I have an iPad. But I don’t like to read books on an iPad. It is wonderful tool for the daily communication and to answer email, but it is really just the communication necessary to survive. The qualified communication to discuss an idea for a book and its intellectual content is always done with a fountain pen on real paper. I send my letters via UPS or FedEx to the person or I do it the old-fashioned way and send it via fax. Karl Lagerfeld once gave me his fax number and I think it is actually the best way to reach him. Yes, you can imagine that he receives hundreds of emails and text messages every day and it is almost impossible for him to select what is important. Of course his people are doing this for him, but if you want to reach him directly then there is always the secret fax number. When I write a handwritten letter to him and send it via fax, five minutes later I have the answer I need to continue my work for him. I have heard that all artists have to come to Göttingen if they want to make a book with you. Is that true? Yeah, that is true. We have all technologies in order to make a book under one roof. When an artist arrives on a Sunday, we start on Monday making the book. The layout and the concept of the book is ready on Thursday and Friday the artist can go back home. He or she has to come a second time for the printing process. You seem pretty strict with your clients. But people like to be part of these technical processes because by having them involved in my technical know-how, they learn and understand what can be done. And the next book is always better. Also the discussion of how to make a book, how to create it, and what the physical look at the end should be is something that you can only do face to face. That is not something possible to do over email, by phone, or by Skype. Do friendships ever evolve out of your work with artists? I have been working with so many artists and I don’t need three hundred, four hundred personal friends. My relationship to an artist is a work friendship. We of course respect each other and we work hard to get things done and we have fun, but there is no reason to go on holidays together or to go into a pub and get drunk together. That’s something I don’t need. Friendships disturb the process and make it more complicated to be honest. If I don’t have a friendship to an artist I can really tell him the truth when I don’t like something. I don’t need to hold back.